Protect your most valuable asset with correct accounting! Accounting for your inventory is as important as accounting for your sales. Every product you have on your shelf has a cost value, and the total cost of goods is likely to be more than you have in your bank account. In order to grow your business effectively, you need to understand how to manage this cost properly. This guide aims to equip you with the knowledge you need to accurately report on your inventory financials. After all, your inventory is your most valuable asset within your business. There are cases where cost prices change significantly and regularly (such as oil), which presents different ways to value inventory. But for the purposes of retail and wholesale, your inventory value is the net cost price. The cost for shipping and taxes will appear as a loss on your Income Statement or Profit and Loss report. If you’re in the UK, you’ll pay VAT, but you can reclaim it later. Purchases of items for resale in the USA are exempt from Sales Tax. To ensure accuracy and efficiency, sales order processing, profit and loss tracking, and asset management need to function from a single software platform. A key element to knowing your real-time profitability and cash-flow levels is tracking your Cost of Sale or Cost of Goods Sold (COGS). This is the value of the inventory you’ve sold. The net sale amount less the cost of sale gives you your gross profit. When you make a sale, you reduce your asset and increase your cost of sale, which transfers the inventory value from the Balance Sheet onto your Profit and Loss report or Income Statement. Whether this is done when the sale happens, or at month’s end when you run a stock take depends on which inventory accounting method you use, which we will look at in the next chapter. Some businesses choose to recognize the cost of sale at the same time as the invoice date, which makes relative profit reporting easier since the cost of sale and revenue appear in the same period. Other businesses prefer to recognize the cost of sale at the time that the goods are shipped, i.e. the time that the delivery happens. Your accountant should be able to advise you on which is the best method for your business. The two ways to account for inventory go by different names in different parts of the world, so for consistency we’ll call these “Periodic” and “Cost of Sales”. Using the periodic method, inventory accounting doesn’t occur when a sale happens. A sale stores the revenue and tax transactions, and shows as 100% profit on your Income Statement. At month (or year) end, an inventory update is run, a value is assigned, and this is then compared to the previous month’s inventory value. The “Opening stock value” and “Closing stock value” are assigned into accounts, which, factoring any purchases you may have made during the period, gives you a cost of sale, which is subtracted from the revenue to give you your gross profit. Even though you have bought $50 of stock, at the end of the month you are $75 down on the previous month (opening balance $100 - closing balance $25). This means the total spend on products contributing to sales in the month is $125 ($50 purchases + $75 inventory shipped). With periodic accounting, the purchase value is added directly to the Profit and Loss report or Income Statement when you buy the stock, and the inventory adjustment is added at the end of the month. You can only get an accurate profit report once a month, after all of the calculations are made. A stock valuation should follow a full stock take to take into account any gift sales, free samples, damage or theft. Any loss of inventory due to damage or theft won’t be discovered until the count is done, and by that time it won’t be easy to determine where and when it happened. 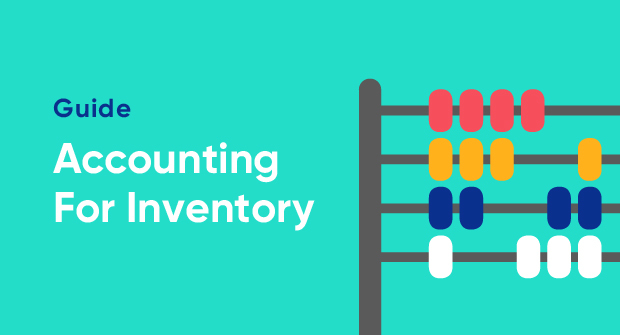 However, because you don’t have to account for the cost of inventory for each and every sale, the periodic accounting method is simpler and easier to work with if you are running separate software systems for accounting and inventory management. With the Cost of Sales accounting method, an entry is made on your Income Statement or Profit and Loss report (P&L) for every single sale that contains inventory. Your asset value on the Balance Sheet is decreased, and your Cost of Sale on the P&L is increased, based on the actual value of the items that have been shipped. When you buy more inventory, the purchase value is added into your assets (Balance Sheet), not into the P&L, as it would be with Periodic accounting. Immediately we can see a gross profit for the sale made: $40 - $25 = $15. If we continue to make 5 similar sales in the month, we have a sales revenue of $200 and a cost of sale of $125, giving the same gross profit as the periodic accounting method, but without the need for stock valuation. We can also see the profitability in real-time. But what about the closing inventory value? In this example, we open with $100, add $50 directly into the assets with the purchase order, and then subtract $25 for each of the 5 sales made, leaving $25 at the end of the period. When you receive goods into stock, it is essential that you enter the most accurate cost value available. The software platform should account for any slight discrepancies if the actual value is given on the purchase invoice. Receiving inventory later is different. To benefit from Cost of Sale accounting; purchasing, inventory and accounting processes need to be tightly integrated, and ideally all operate within the same software platform. Through a single configuration, accurate data can be accessed in real-time, since transactions are automated and opportunities for error are reduced. If a product always costs the same amount to buy, then all these methods will produce the same results. If your cost prices change, then which price do you use for the cost of sale transaction when you sell something? There are a number of different methods you could use. This method uses the cost of your oldest inventory when the sale is made. Even though the actual item shipped to the customer may not be the same physical item that was first delivered, the value assigned to it must be correct. The FIFO method requires that each delivery of product is recorded separately with the date and price. The LIFO method uses the most recent inventory value for the cost of sale transaction when the sale is made. If the cost price of a product is increasing over time, then LIFO will result in the lowest profit (and lowest tax), since the most recent costs will be higher than the oldest costs. If your system does not track each delivery of inventory separately, then you need to apply a single cost to each item when you value the inventory (either for cost of sale transactions or for a month end periodic stock valuation). This single cost value averages out the price paid for the items currently in stock. As we’ve seen, the value of inventory is the price that you pay your vendor, excluding tax and shipping. But what if you manufacture your own products? If you assemble finished products from components, then there will be a cost incurred during the assembly process. You need to make sure you don’t count this twice in your accounting! It will then appear on your Income Statement when the item is sold, giving more accurate profitability reports. If the assembly is completed by full-time employees on payroll, then you will need to remove their rate of $20/hour from the “Wages” overhead code on your Income Statement, and add it into “Inventory / Assets” each time you build one of these items. You’ll still record the payment of wages at the time of the build, so your cash reporting will also be correct. Similarly, if you outsource your manufacturing, you’ll need to transfer the correct amount from the Income Statement “Manufacturing” code into your “Inventory / Assets” code. Note that reducing overheads will increase your short term profit, since you are adding value to your assets and deferring the build cost into a later Cost of Sale transaction. When you spend a significant amount of money on freight and duty to get goods delivered to you, the effective cost of products is higher than the net cost price that you pay your vendor. The “landed cost” includes the extra charges, but how do you account for this? If you receive a mix of goods in a single shipment, then working out the effective shipping cost for each item may be difficult: do you split the shipping cost across your products by weight, by volume or by item cost price? Sometimes you have a single freight or duty invoice that covers multiple shipments that were all sent together. Because this is complex, there are not many software platforms that handle it well, if at all. This means that you’re best building your own custom spreadsheet, if not using a system that fully supports landed costs. Use your spreadsheet to work out a “freight and duty” cost for every item in each delivery, as it comes in, and then add this to the net cost price of the item to get your landed cost. Since you’re already accounting for the freight and duty via the freight company invoice, you should not amend the asset value of the inventory in your accounting software unless you also amend the accounting entries for the freight and duty invoices. This is usually more complex than it’s worth. To calculate profit margins using landed cost, compare your net sales price with your landed cost price in Excel, or create an extra price list for “landed cost” in your product management system and use the margin reports there. Alternatively, the simplest way of accounting for landed costs is to use a system, like Brightpearl that supports this, giving you access to your true cost across products and purchases. Your system should enable you to split the costs based on item weight, volume and value and update all of the necessary accounting transactions at the same time. As a retailer, you would take inventory “on consignment” from a distributor, which means that you don’t have to pay for it until you sell it. You still need to show it “in stock” but it won’t appear on your Balance Sheet as an asset. Receive the inventory into your system at the price that you expect to pay, and make sure that any accounting transactions are made against a dedicated account code. Your regular inventory is received into “1001 - Inventory” (assuming you’re using a Cost of Sales accounting method). When you receive consignment inventory, receive it into “1002 - Consignment Inventory”. At the end of the accounting period, you exclude this figure from management reports. The balancing side of the double-entry accounting transaction would be against an account code “2050 - Inventory received, not invoiced”. As sales are made from the consignment inventory, cost of sales accounting transactions will be made using the price you’re expecting to pay, removing value (credit) from “Consignment Inventory” and adding it to “Cost of Sales” (debit). From there, a report is sent to the distributor detailing everything sold. In return, they invoice you. To balance these transactions, the invoice is recorded against the original account code: “2050 - Inventory received, not invoiced”. With this technique, you still receive the inventory so it reflects in your sales channels, but you give it a zero value to prevent accounting transactions from being made. When you do a stock take, the items show in stock, but your Balance Sheet is not affected. Similarly, when you make a sale, no accounting transactions are made since the asset has no value. If you’re using Periodic Accounting, don’t include the consignment inventory in the stock valuation at the end of the period. When you receive the purchase invoice for items sold, you need to allocate it directly to a COGS code (in the Expenses/Purchases section of your Chart of Accounts), even if you are using Cost of Sales accounting. The second process is simpler - you don’t see the cost component of a sale (for profit reporting) until you have received the purchase invoice. With the first method, you see a provisional cost of sale every time an item is shipped, but the actual value is not known until the supplier’s purchase invoice is received. For either method, it’s handy to receive the inventory into a dedicated “location”. This could be a virtual aisle or a virtual warehouse, if you have a multi-warehouse system. This makes it easier to filter reports to separate owned inventory from consignment inventory. When you sell goods to a customer and generate an invoice, it may be entered into your accounting system immediately but the goods may not ship until the following day or later. If so, you need to decide whether you want the cost of sale transaction to be dated as per the sales invoice date or the date of shipment. If you decide the sales invoice date and the shipment date need to be the same, your profit reports will be easier to understand, since the cost and the revenue are in the same period. Even though the asset will have been removed from the Balance Sheet, an inventory report on that date will show items in stock, since their shipment is still pending. The value of inventory from a stock take should reconcile with your asset value on the Balance Sheet, so if you choose to back-date your shipments, you’ll need to make adjustments for “inventory in stock on invoiced sales”. For distributors who send inventory to a retailer, invoicing doesn’t occur until that retailer has sold said inventory. While the inventory is in the retailer’s store, you still own it and that needs to be reflected on your Balance Sheet. If you’re using Cost of Sales accounting, you’ll need a system that allows items to physically ship without creating the “shipped” cost of sale accounting transactions. This is where inventory allocation can come in handy. You just need to create a sales order for the retailer and mark the inventory as allocated. This prevents it from selling to other customers and still shows as “in stock” for your accounting reports. With Periodic Accounting, no transactions are made when items are shipped and accounted for, as they would be for a normal sale. If your order processing system does not allow for receiving goods back from a sale, then invoicing for that sale is needed. When the sales report is sent back from the retailer at the end of the month, inventory corrections are then made. This is likely to be complex, so the inventory allocation method is recommended. It’s rare that a purchase invoice is received into your system on the same day that the inventory is received. Similarly, you don’t always ship goods to a customer on the same day that you invoice them. These timing differences will cause discrepancies in your accounting unless you put methods in place to factor for them. If you’re using Cost of Sales accounting, then the point at which you receive inventory is the point at which you increase your asset value. If the purchase invoice has not yet been received, you need to account for the liability another way. You are holding stock for which you have not yet been invoiced (or paid for), so a liability account should be used. This shows show on your Income Statement - perhaps within the code: “2050 - Inventory received, not invoiced”. With the Cost of Sales accounting method, if you sell goods to a customer before receiving the purchase invoice that reflects the actual cost value, how do you calculate the cost of sale transaction? Use the provisional cost as recorded when the goods were received. When the purchase invoice is later reconciled against the purchase order, make any corrections. If your accounting system is not integrated with your inventory management system, then you’ll lose this detail. Depending on the inventory management platform you use, you may get the provisional cost of sale figure or the corrected cost of sale figures. Generally, however, this isn’t a major issue unless your cost prices are changing significantly and regularly. The important thing is to make sure that your goods-in process records inventory at the most realistic cost price possible. The retail industry is experiencing unprecedented change. It’s essential to know your real-time profitability and cash-flow levels to scale up and stay ahead of your competition. Running your operation on a single retail management platform, like Brightpearl will provide more accuracy and efficiencies with less headaches, allowing you to focus on growing and improving your retail business.